Going through a divorce can turn a couple’s life upside down and lot of arguing can be involved. 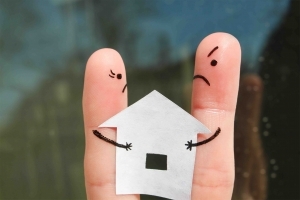 One point of contention in a lot of divorces is the marital residence. The question of who should stay in the home and whether the home should be sold become crucial questions during negotiations. If both parties are on the same page with who gets what – there should not be too many complications. 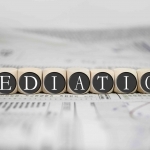 Divorce proceedings rarely go as planned and many end with a lot of arguing. So, if one party wants to keep the marital residence despite protests from the other party – they will need to have a really good argument to keep it. Why Even Argue to Keep it? There are dozens of reasons why one party would want to keep the marital residence. Emotional arguments tend to take the lead, but there are a lot of other reasons as well. 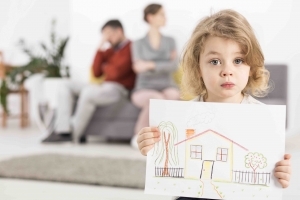 The marital residence tends to be a focal point for a family, and when a family has children – keeping those kids in the same house could mean much needed stability during the divorce. However, while one parent may see this as a positive thing for the kids (and for them to stay with the kids there), the other parent could argue that if they were the only factor changing about the home, it could push the kids away from them. If one parent stays in the home and has the kids the majority of the time, it could potentially be harder for the kids to adjust in some ways. Many argue that if both parents move, it helps the transition and solidify that things are now different because of the divorce, which could in turn help the healing process. If one parent stays in the home with the kids and the other parent leaves – it is possible the kids could wonder “when that parent is coming home”, rather than dealing with the actual divorce. Plenty of arguments can be made this way. Keeping the marital residence could also be for financial reasons. If the home is fully paid off, and one party can be offset their share of the home with other assets, then the staying party could benefit greatly from this arrangement. If the wife stayed home the majority of the marriage and unable to work a meaningful or successful job, having a fully paid off home could be the difference between living on her own or living with her elderly parents again. If the wife does not have a rental or mortgage payment, it could decrease how much the court awards her for spousal maintenance. If a party wants to keep the house out of spite for the other party, and the case goes before a judge, the judge will likely see through these arguments and order the house be sold. Unless there are good and convincing reasons to keep the home (absent agreement between the parties), the judge is going to say no one gets it – sell it. While it is a harsh reality to face during divorce, typically people will not live the same lifestyle they did while they were married. Unless each party is independently wealthy, most people are going to need to make adjustments in their life to accommodate the decreased income, or support, they received during the marriage. This is true for men who had a wife take care of the house and children. If the husband is now a single dad and has never washed a dish – he will need to learn how to do all of these things, just as the wife would need to adjust to a decreased income. Trying to negotiate and settle a divorce is one of the top pieces of advice any family law attorney will give you. A divorce can be a very invasive process and the people who know your family and your situation best – are you and your spouse. 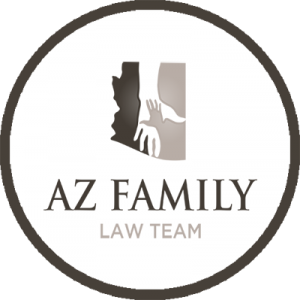 In Arizona, a standard divorce proceeding is only three hours! While there will be other hearings before the final trial, the judge has a limited amount of time to learn the ins and outs of your extended marriage – but they have all the power to make the decisions about your life and your house. In community property states, like Arizona and California, the judge will enter an award for all community assets and debts to be divided equally. [iii] A community asset is anything that was obtained during the marriage from community funds. If a vehicle was purchased during the marriage for one spouse, it is still community property. The house is no different. 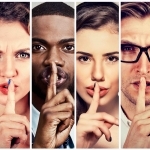 If no strong arguments can be made for one why spouse should keep it over the other, then the judge is more likely than not going to order the home to be sold. If the house is sold – who gets the proceeds? Does it matter if one spouse was working and paying the mortgage while the other stayed home? No, it does not. 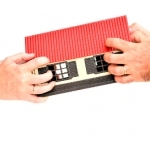 It is community property and the spouses will each take ½ of the proceeds from the sale of the home. There are of course exceptions to this, but more frequently than not this is how it is handled. Walking away from a marriage as a newly divorced person can be very jarring. Your financial stability is shaken, you are now single again, and may not have a home to live in. The divorce process can dramatically change a person’s life and not always for the better. Many people view the marital residence as the foundation of their life, and many people will fight to keep that home after a divorce. Absent an agreement between the parties, many judges will order the home to be sold in the divorce (and in Arizona, the proceeds to be split), unless one spouse can afford to refinance the home and buy out the other spouse, or there is another compelling argument. Knowing what your options are and what you can afford is crucial when determining issues of the marital residence.